Did you know about 4 million babies are born each year in the United States? That’s a lot of newborns and diapers! Children are typically ready for potty training between 22 to 30 months of age, so you will need to find the right diaper for the long haul. 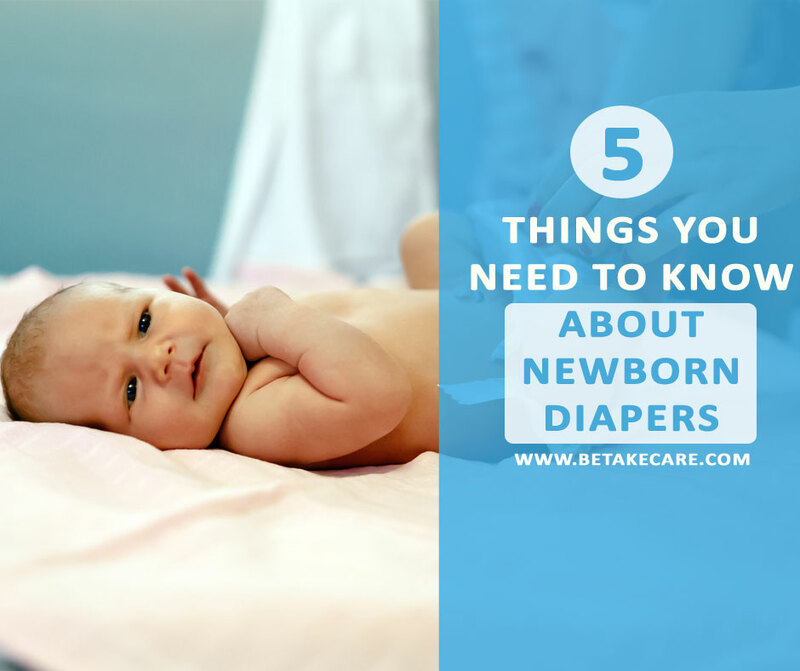 Find out what you need to know and look for in newborn diapers! Diaper size are dependent on the baby’s weight, look for newborn-specific size. Be sure the diaper fits well around the baby’s legs. If a lot of leaks are being experienced, consider going up or down one diaper size. Expect to change the baby’s diaper 10 to 12 time a baby. Purchasing diapers online is typically less expensive. Prepare to have a diaper budget until the child is fully pooty trained. Diaper absorbency is key and measures how much liquid it can hold. Poor absorption can lead to diaper rash, as it will allow the baby’s skin to be moist. betakecare provides absorbency scores on baby diapers to help with selection. Choose diapers with color-changing indicators to indicate wet diapers. Diapers need to be soft and breathable for maximum comfort. Elastic bands make diaper changes faster and easier. Pre-moistened wipes help gently clean the baby’s skin. Fragrance-free and hypoallergenic wipes can aid babies with sensitive skin. Wipes with aloe and vitamin E can soothe skin.